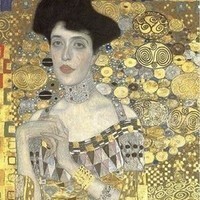 Authored by Anne-Marie O'Connor, The Lady in Gold tells the compelling story of Gustav Klimt's famous portrait of Adele Bloch-Bauer, from its creation through the legal battle that Adele's niece waged to regain possession of five Klimt paintings stolen by Nazis. A group review of the book will be enhanced by a discussion of the ongoing issues of provenance in the art world. Co-led by Kathy Hart, Senior Collections Curator and Barbara C. and Harvey P. Hood 1918 Curator of Academic Programming, Hood Museum of Art, and Megan Coleman, PR and Outreach Librarian, Howe Library. Registration is required. To borrow a copy of The Lady in Gold, please contact the Howe Library's Information Desk at (603) 640-3267 starting August 28.